The Border Terrier is a small breed (11.5-15.5 lbs) recognized in 1930 by the AKC. They were originally bred as working terriers. This agile dog willingly squeezes into narrow spaces after prey. They possess a wiry coat and that super cute “scruffy old man” face. Borders are described as having an otter head. As far as coat maintenance, it is water-resistant and needs only occasional brushing. Hand stripping twice a year is recommended. The breed “originated in the border country between England and Scotland, and may be one of the oldest kinds of terriers in Great Britain” (#1). In the 18th century, Borders had to find their own food on top of protecting their owner’s stock. They were built in such a way that they could keep pace with a horse as well as track down a fox. This hunting breed is affectionate in the home and require lots of exercise, as they are pretty active. This gorgeous working dog, that I am DYING to see in person, is best known by the long cords that its coat forms with age. 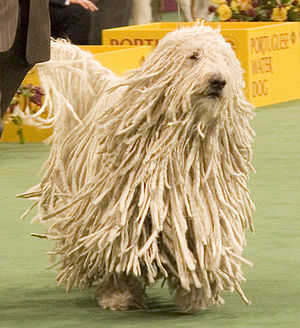 Originally a working dog of Hungary, the Komondor is used to guard sheep and livestock. Due to its protective instincts with livestock, it can extend the same mentality towards its owners and be wary around strangers. The lifestyle for which it was bred also adds to a need for moderate exercise. The coat is dense and protects from attacks as well as letting them blend in with their charges. It attracts dirt and insects, and so, must be regularly inspected. Since it becomes corded naturally, brushing isn’t necessary but the cords must be pulled apart to avoid matting in the heavy coat. They are more prone to parasites due to their coats and their ears can be easily infected since their is no air circulation in them. Coat maintenance spans out to the feet as well to prevent infection and/or matting in the fur between the pads of the Komondorok (plural form of Komondor, weird I know). To see more about this breed and breed standards, you can visit the AKC site! Kooiker’s are alert, happy dogs that seek to please their owners. They have waterproof coats (which help in duck hunting) that requires minimal maintenance. 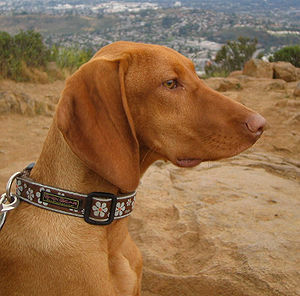 The Vizsla (veesh-la) is a hunting dog with a short coat in a light rust color. To see breed standards click here. We had a female in the hospital yesterday suffering from neck pain and in need of X-rays. She was pretty even-tempered despite being pretty nervous. 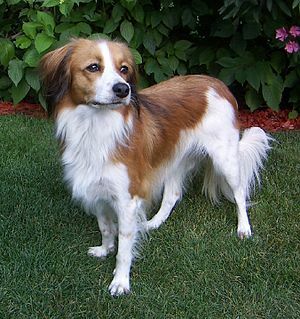 The breed comes from Hungary where they were used as hunting dogs and companions for the Magyar hordes. Depictions of the breed can be found as far back as the 10th century. Like the, Leonberger, Vizslas faced extinction around WWII. They had previously been overrun by Pointer breeds (English and German Shorthair) in the 1800s. Vizslas were rejuvenated from a mere 12 individuals. Post WWII, the breed came to the US where the Vizsla Club of America was formed to gain AKC status (official November 25, 1960). They were part of the development of breeds such as the Wire-haired Vizsla and the Weimaraner. The Leonberger is a gorgeous, large breed of dog, listed by the AKC as a working dog. (For breed standards, see the link below). They’re a very sweet dog and a great family companion. We had one Leonberger in the vet hospital who came up almost to my shoulder (I’m only 5’3″). She was SUPER sweet and the hair on her ears was crimped, which made her look even sweeter. Leonbergers hail from Leonberg, Germany around the 1800’s where they were bred to be family, farm and draft dogs. They are reported to be a cross between a female Newfoundland and “a “barry” male from the Great St. Bernard Hospice and Monastery (which would later create the Saint Bernard breed). Later, according to Essig, a Pyrenean mountain dog was added, resulting in very large dogs with the long white coats that were the fashion for the time” (#2). “The breed caught the attention of popular German artists who used them as models, and they’ve even been featured on the stamps of various European countries as well” (#1). 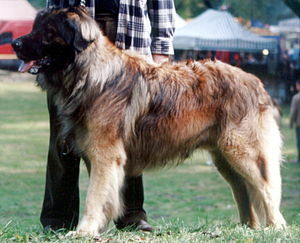 After World War I and II the Leonbergers faced extinction. A mere 5 dogs survived WWI and 8 survived WWII. Many lost their owners and had to fend for themselves. Leos were also used to pull carts of ammunition. The average recorded lifespan for this breed is 7 years as they can be affected by some serious diseases. We’ve had a few of these super cute dogs come in to the hospital for various reasons. 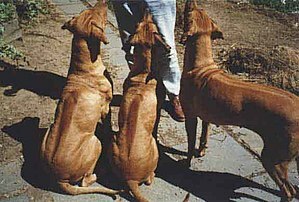 The Rhodesian Ridgeback is in the hound group according the American Kennel Club. They are also known as the African Lion Hound as they were bred as protectors and hunters. The most interesting feature of this dog is the strip of fur along the spine that grows in sz the opposite direction of the rest of the fur. The ridge is caused by a mutation that studies suggest is autosomal dominant (which basically means you only need one copy of the allele in the set to make the trait visible). “The Ridgeback ranks number six in terms of most affected breeds for thyroid problems recorded by the Orthopedic Foundation for Animals” (#3). With good care, the Ridgeback can live 10-12 years. They do require a good amount of exercise to avoid boredom and subsequent behavioral issues.